In the new year, there are many opportunities for you to increase the effectiveness of your company’s marketing. One of the best, easiest, and most cost-effective ways to do so is video marketing. By adding videos to your marketing plan, you’ll not only give customers content in the way they prefer to consume it but it will also boost your SEO results and increase your conversions. Videos Boost Sales – Studies have shown that videos are a powerful tool in increasing your conversion rates and sales. People connect with products and businesses better when they can see and get a good visual of the product and how it works. Videos also help customers connect with your brand and remember your unique value proposition. It’s Good for SEO (Search Engine Optimization) – Have you heard? Google loves video. In fact, some studies show that having a video embedded on your website makes you up to 53 times more likely to appear in a good search. Not only do your customers love video, but it’s also important to ensure your website ranks in the search engines. It’s Good for Mobile Users – It’s no secret that as much as 90% of content is consumed by someone on a mobile device. Video is easier for users to consume information on a mobile device than a stream of text, so it’s important to provide content in a way that is valuable to your audience. Video Encourages Shares – Users are more likely to share videos than other types of content. If your goal is to reach more people, creating high-quality and share-worthy videos is a great way to encourage your fans to tell their friends about your products or services. Video Appeals to All – Even the laziest of shoppers prefer video over traditional content types. 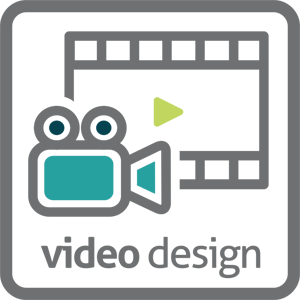 Video is something all users can get behind and will engage with – give them what they want! 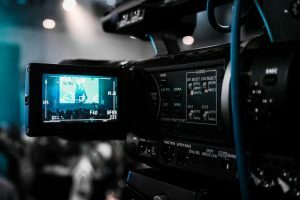 Make 2019 the year you start utilizing the power of video marketing in your campaigns. Ready to learn how to create great marketing videos? Consider taking our Video Design Certificate program, where you’ll get a solid foundation in the most cutting-edge video design software available today to take your business’s video marketing to the next level. Click here to learn more about this program and to register today!